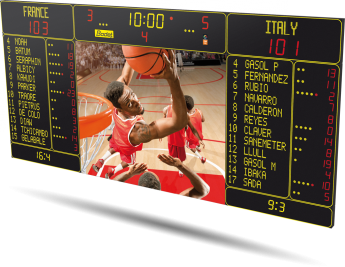 The BT6730 Video 12M 12P H15 is a basketball scoreboard, perfect fitted for international competition. 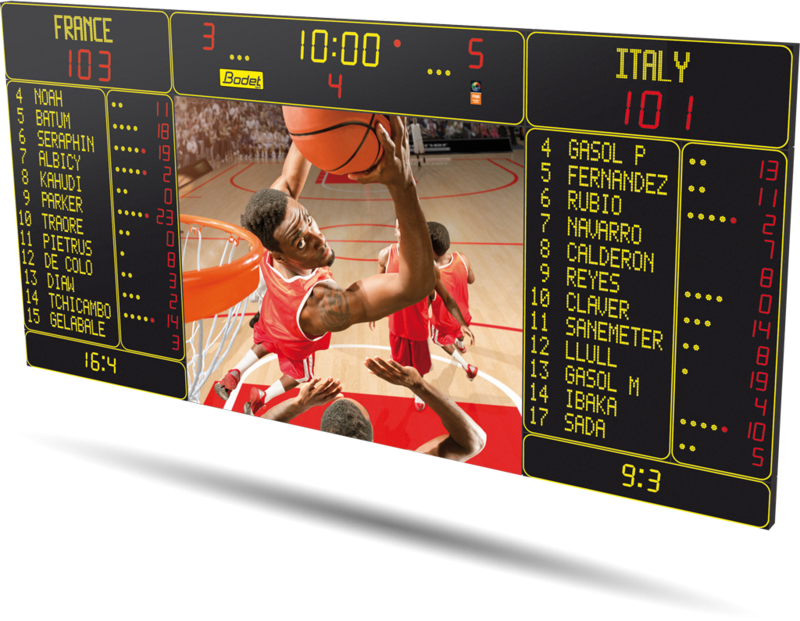 With this scoreboard, you will display the name of 12 players and information for advanced-level basketball games. In addition, it features a huge colour LED screen of 12m². The LED screen is an excellent medium that promotes communication partners and increases the impact of advertising. This basketball scoreboard is designed for large halls such as arenas.